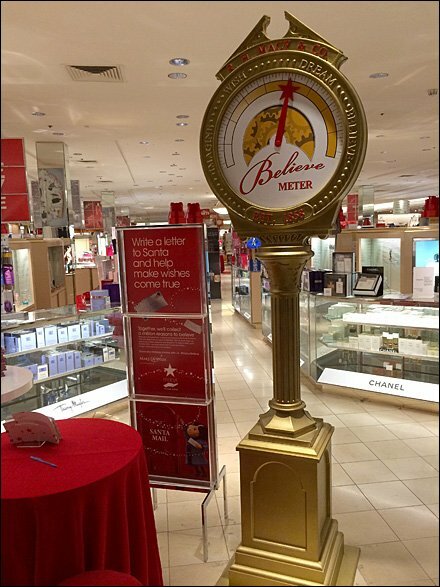 Macys always has a touch of the traditional as part of its Christmas visual merchanding theme. Founded in 1858 the tie to the historic look and feel fit well with the brand’s longevity. Their meter registers in increasing intensity Imagine, Wish, Dream and Believe. Maybe the dial will show increases as the days count down to Christmas. 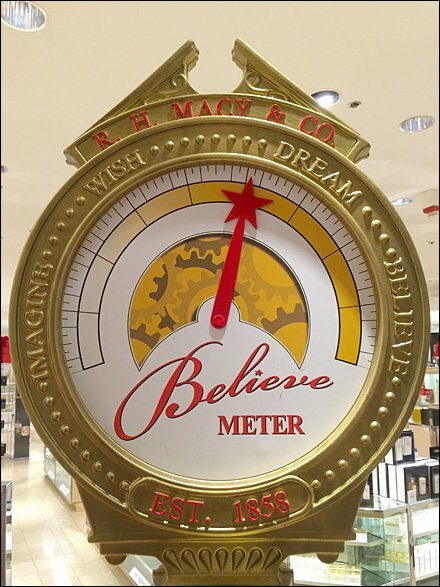 CLICK the Macys Believe Christmas Meter thumbnail for alternate view.